The question caught me off guard, and sadly I couldn’t come up with a really good answer. Oh yes, I love being a mom but how come I felt like my answer didn’t indicate at all how I really felt. I’ve pondered that question for a while now and I think it’s so hard to answer because there are more than a million things I love about being a mom and it’s just hard to put that into words. Being a mother is my calling. From the time I was a little girl I knew I wanted to be a mom one day when I was “older”. I still remember playing dolls with my sisters and pretending we were married and walking around “pregnant” with a pillow stuffed under our shirts to truly play the role. It had to be as close to the real thing as we knew it. I was quite particular with my baby dolls too! I didn’t just want any baby doll. Most Christmases growing up I would search the sale ads and papers and watch the commercials for the best doll out that year. The best doll to me of course was one that looked like a real baby in the face, or did something like a real baby would do like walk, talk, pee, cry, or drink from a bottle. I knew one day I wanted to be a mom but until then I sure did enjoy dressing up like a mommy and carrying around my baby dolls. Fast forward 20 years later. I didn’t know my own journey to motherhood would be quite so dramatic. All my life I just thought it happened when you were ready. You know – get married, get settled, plan to have a baby and then have a baby. Not so much. It didn’t go like that for me anyway. My story went a little differently than what I had planned for. I found that guy I had been praying for. You know the one you think you’ll never find. God brought him into my life and He was the guy God intended for me. We are opposites in a lot of things but we share the same beliefs and outlook on life. We both have our share of flaws and weaknesses, but where one of us is weak, the other one is strong. It’s amazing how God brings someone into our lives that will sharpen us and draw us closer to Him. He has definitely challenged me in areas I’ve never been challenged before and helped me to see things a different way from how my sometimes very narrow minded self would normally see it. After almost 2 years of marriage, we both were feeling called to be parents. We intentionally prayed about it and asked the Lord to prepare us for parenthood. We began “trying” knowing it sometimes takes a while. Well, 6 months turned into 1 year, turned into a 3.5 year journey with infertility. Whew. It wore us out. We went through things we never knew we would or could go through. Our marriage was tested as we faced failure after failure, heartache after heartache along the journey. We stood by each other; sometimes that wasn’t easy as I was a hormonal mess at times depending on the drugs I was on. In the end our marriage was stronger. We had gone through things together that a lot of couples never do. We walked through it together and trusted God to help us make it to the other side. Infertility is a journey I wish no one had to go through. Our hearts ache for the friends we know are walking through it. We pray for those couples knowing the road can be long. Prayer is what helped us through. We relied so heavily upon the Lord and knew that in the end, God had a plan for us and our future family. 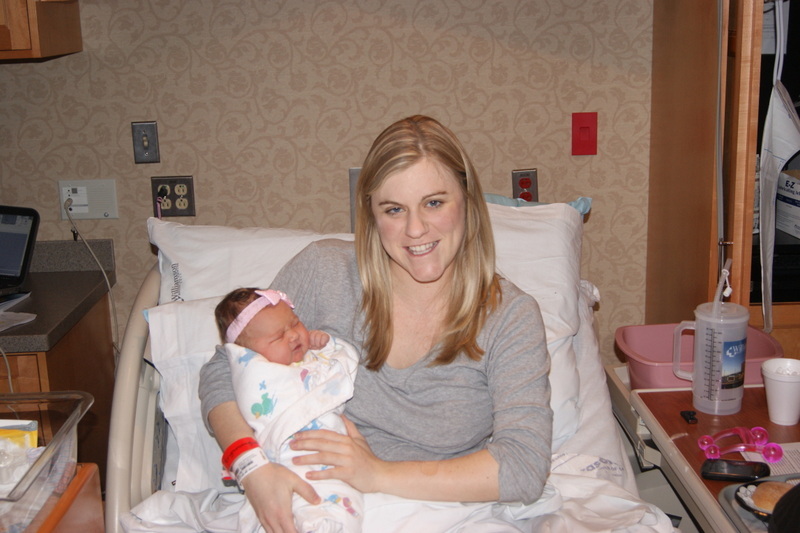 My long journey to motherhood unfolded on January 14, 2013 when my baby girl, Avery was born. It definitely goes down in the books as one of the happiest days of my life along with my wedding day. No one can prepare you for what you will feel when you hold your baby for the first time. Tears of joy streamed down my face as I looked at her sweet chubby cheeks. She was absolutely perfect! All the waiting, all the tears, and all the prayers; I forgot about it all when they placed Avery in my arms that day. Nothing else mattered at that moment, not even the long and wearisome journey that led up to that day. It was overwhelming to see God’s faithfulness unfold before me. 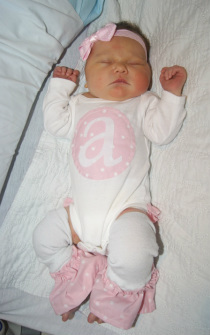 I was overwhelmed the first several weeks home with my sweet baby girl. It was all I could do to look at her while I was holding her and not start crying and thanking God for this beautiful blessing in my arms. Don’t get me wrong I know hormones are a bit out of whack when you arrive home, but it was so much more than that. It was looking down at a life I knew God created. It was knowing that He answered our prayers and she was in my arms. It was knowing that God is all powerful and sovereign and all along He had a plan for this baby girl to be in my arms. God makes no mistakes and His ways are perfect and I knew Avery was exactly what He had planned for Dave and me. As we watch Avery grow and learn and develop into her personality and all that God created her to be, I’m amazed at how my love grows even more for her. There’s nothing like watching her discover something new for the first time – rolling over, sitting up, crawling, taking her first steps. Wow, what an amazing thing to watch. Right now it’s the little accomplishments each day, like following simple directions or putting one block on top of the other. I get so proud even in those little moments of seeing her solve a problem or overcome an obstacle. Watching her taste her first piece of cake was pretty neat too! I wanted to give her a few more pieces just to watch the anticipation in her face (but I refrained). It doesn’t even matter what it is she is discovering, big or small, it’s an adventure and God chose me to be a part of it with her. What about the things she gets excited about: a plane in the sky or a bird flying by. She gets so tickled when she hears a dog bark, or a bird chirp. I get to watch her eyes light up and look up at me, and there’s truly nothing like it. She reminds me daily of the beauty that surrounds us if we just open our eyes. I am the person she looks up to and I am the person she wants to share things with. I get to be there for her, protect her, guide her, love her, and teach her new things. I get to receive the hugs, the kisses, the smiles and giggles each and every day. I get to be there when something frightens her or when she falls down and gets a boo-boo. I get to make sure her belly is full, her diaper is dry, and that she’s had enough hugs and kisses each day. I get to sing to her at night and pray over her reminding her how much God loves her. I get to greet her each morning to start a new day and do it all over again! Oh yes, let’s not forget the tedious tasks of being a mom – the daily tasks none of us really enjoy. You know, the dishes, the laundry, fixing meals, dusting, vacuuming, and on and on. But for me, it’s all part of being a mom, something I wasn’t sure I would get to be one day. So, even on those days that seem full of repetitive tasks that I don’t particularly enjoy, I remind myself as I’m standing in the kitchen at the sink full of dishes or a floor that needs to be swept for the 10th time that day - I am blessed. I GET to do these things. God chose me for these tasks. It’s part of being a mom and I wouldn’t trade that for anything. I can’t forget to mention that I love how Avery is teaching me to be the best version of myself that I can be. I know I have little eyes watching me now and I want those little eyes to be able to imitate and model what they see. I’ve been told many times that we begin to understand God’s love for us so much more when we have a child. God loves me even more than I love Avery. It’s hard to believe, but it’s true. And He loves Avery more than I ever could, so even when it’s hard, trusting Him with her life is the best thing I can do for her. On that note, I get to pray for her. I am the one that lifts her in prayer to God each day. What an incredibly humbling task as a mom. I also get to pray with her as she gets older and teach her about God’s love for her. I get to tell her that she is a princess of the King. At times I am overwhelmed at being a mom; this world is a scary place and I wonder sometimes how I will protect her from all the bad in the world. I worry about her future and pray she knows God as her Lord and Savior at an early age and follows Him all the days of her life. But I know I can’t worry about things that aren’t here yet. All I can really do is trust the Lord with all the details of her future and all the plans He has for her and pray that I help guide her where He is leading her. So, when someone ask me that question, “What’s your favorite thing about being a mom?” I simply smile real big and think of all the endless things I love about being a mom. The words that come out of my mouth as a response to the question will probably never truly reveal how I really feel because my list goes on and on and only continues to grow the older she gets. There’s no way I can really answer that question, because I love it all! After the failed induction Dave and I were exhausted. Going through a day of labor and then coming home without our baby girl was frustrating and upsetting. 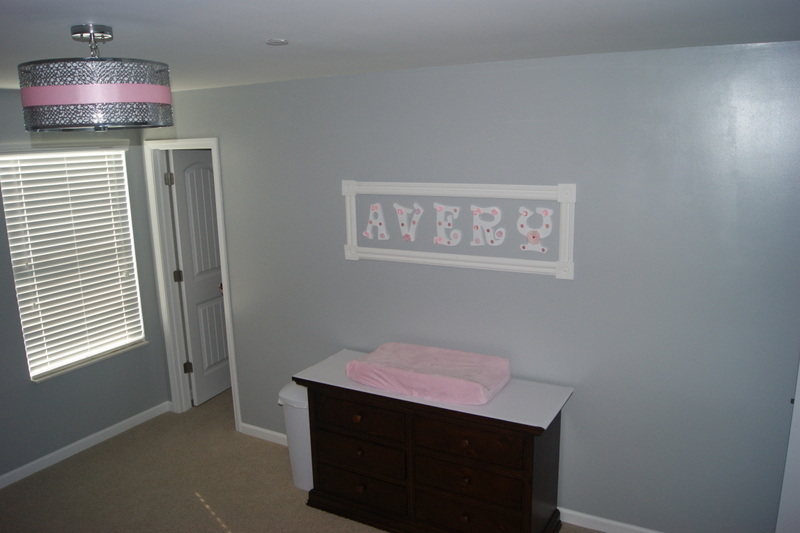 We got home that night looking over at Avery’s bassinet feeling like she should be there with us and she wasn’t. But we’re so glad we came home for much needed rest and to recover and prepare for the day she would actually come. Little did we know it would be 2 days later…………. Saturday Dave and I laid low around the house- we went to dinner that night and I was still having irregular contractions. Some were painful some not so bad but they were coming about every 10 minutes. We kept waiting for them to worsen and lengthen but they never did. I went to bed that night not feeling great. I was up most of the night due to the contractions. They were strong enough to keep me awake. I let Dave sleep as I knew I would need him when we actually went to the hospital. Morning finally arrived. Dave and I watched church online as I was not feeling well enough to make it to church. The contractions were now every 5-10 minutes but still irregular and inconsistent. Some were strong, some not. It’s like my body wanted to move forward but it couldn’t. This continued for most of the day. Dave and I didn’t go anywhere but had talked about going to the mall to walk around. Before we went to the mall, I decided to soak in the tub as I had heard this helps dilate a mother further as she labors. I soaked for about 20 minutes and then got out. When I got out I felt awful- much worse than I had that morning. It wasn’t the contractions but just an overall bad feeling. I laid on the bed and told Dave I didn’t think I would make it to the mall because I didn’t feel well enough. We decided to call my doctor to see what he thought was going on as we were at a loss for the irregular contractions and now feeling so badly. My OB is great. 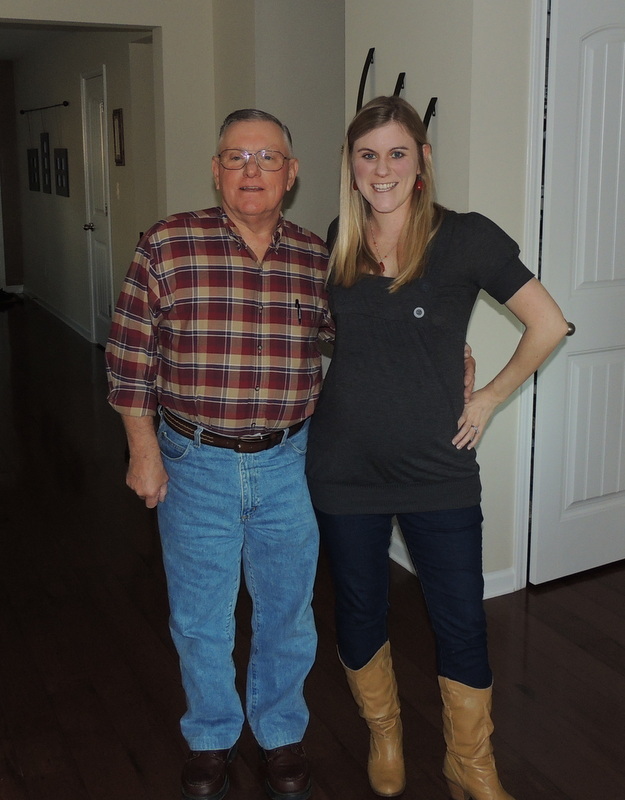 He’s been very accommodating throughout our pregnancy so we weren’t surprised when he offered to meet us at his office on a Sunday afternoon to check me to see if I had progressed any further. We felt bad about making him go to the office on a Sunday but he reassured us it was ok. We grabbed our bags to take to the hospital in case things had progressed and we would need to stay. As we get in the car to leave, the radio puts off a weather alert- Tornado Warning. We picked the perfect time to head to the hospital as it was a bad thunderstorm outside with heavy rain. We get to the office around 4pm and he pulls in about the same time as us and meets us to let us in his office. We go back to the room and he checks me- he smiles and says well, you’re at 4 cm dilated and your 90% effaced. Your bag of water is bulging. Well, this was def. progress from our 1 cm dilated we had been over the past few weeks. So, with that news we had more decisions to make. We could go home and labor there with the chance we would end up back in the hospital that night, or we could stay and he could break my water and let me labor there. 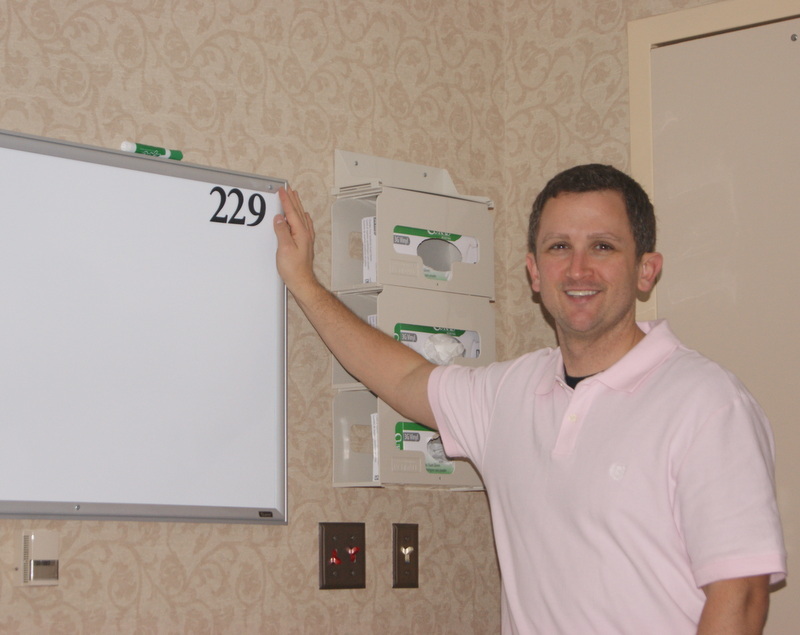 I think Dave and I were so ready to meet our baby girl at this point and I was feeling so bad, we decided to stay at the hospital and have our baby girl. We headed down to the ER for admission and the OB floor came down with a wheelchair to take me to our room. Dave and I were in a different room this time Room 226. I did not want to go back to the room where I was induced just because of the memories of it not working well. We got to the room and within an hour, around 5pm, Dr. Sizemore came in to break my water. They started an IV with fluids and then disconnected it shortly thereafter as I was still planning on a natural delivery. Early labor started- my contractions were still steady but nothing too intense. Dave and I walked the halls a little bit and I used my ball to help with the pain/contractions. At about 11 pm the contractions were very intense and painful. I was breathing through them but I felt like I was going to pass out from the pain. I had Dave pushing my hips so hard to ease the pain I think he thought he was going to snap me in half. I didn’t realize how hard I had him pushing until 2 days after her birth when my hips and lower back really hurt. Around 11pm Dr. Sizemore came into check me and I had progressed to almost 7 cm. I didn’t want an epidural but the pain was so bad and I didn’t feel like I could continue with the pain still escalating. So, we called the anesthesiologist in for me to get the epidural- although he couldn’t start the epidural because prior to that I had to receive a bolus of fluids and it was still hanging on the pole. We had it turned off so I could move around and labor naturally and the nurse had forgotten to hook it back up. Another 30 minutes pass as we wait for the bolus to go in completely. I think that was the longest 30 minutes of my life as we watched the bolus go in and the pain worsened by the second. 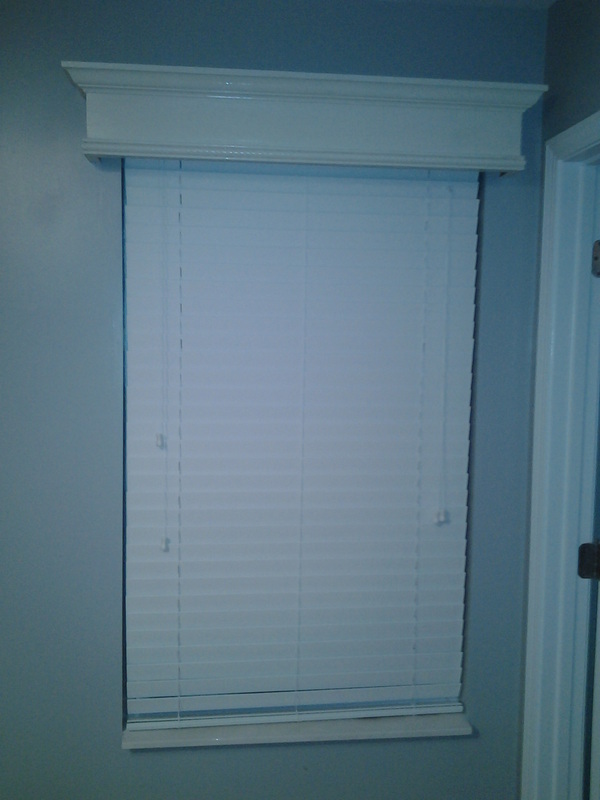 Finally it finished and the anesthesiologist was able to start my epidural. I was in so much pain by then, I didn’t care what they did to me. 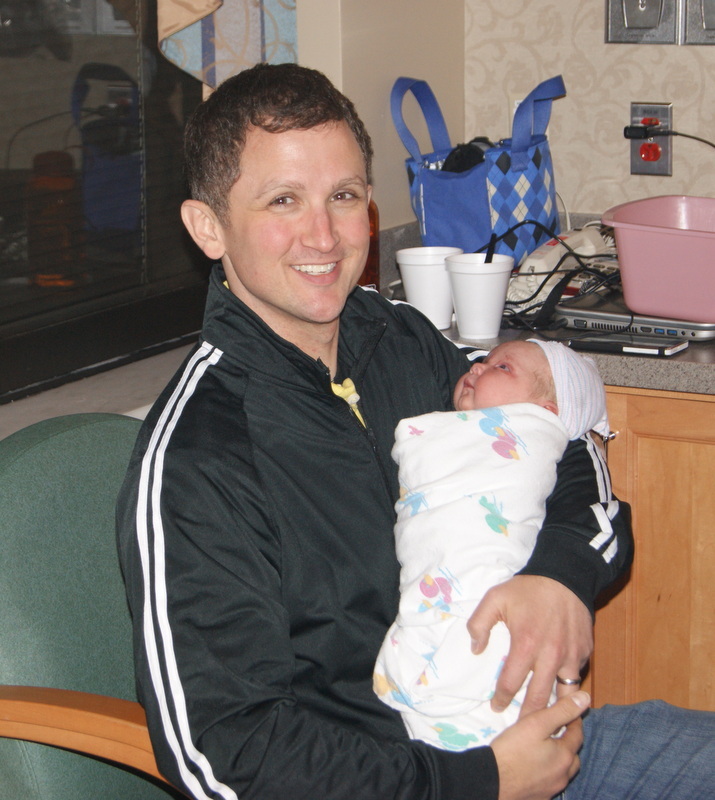 The epidural went in fine and within a few minutes I felt less pain and just the pressure of the contractions. It was about 11 when we had the epidural placed and I was between 6-7 cm dilated. The contractions didn’t completely cease after the epidural- there were moments of intense pain that continued. I also got the shakes from the epidural and some mild itching but overall I’m glad I did it esp. since labor continued for 7 more hours and we saw how big she was. Around 4am the nurses checked me and said I was 10 cm and ready to push. I was exhausted from laboring all night but so excited to have finally reached a point of pushing and having our baby girl. Dr. Sizemore said my entire labor was atypical- we laughed and said the whole process- getting pregnant to having her was not normal. This little girl from the start was special and why would we expect any different with the delivery right? She had to make her grand entrance into this world special too! By this point we could only imagine what this little girl would be like- looking back on our long journey and all we had gone through to get to this point and now the time had come to meet this sweet little girl, our miracle baby. Pushing was probably the hardest workout I have ever encountered. Of all my years of sports and training – I think pushing topped them all. After 2 hours of heavy pushing and breathing and pushing and breathing- we started to see her head – or should I say hair. The doctor put a mirror down there so I could see her. It helped motivate me that she was there and was coming and encouraged me to continue pushing. We were so close and yet she still didn’t want to come out – we would see her head and then we wouldn’t. She still wasn’t sure she wanted to join us out here yet. It got very scary at the end when I could see something wasn’t quite right in my doctor’s face. A look of panic/ urgency came upon his face. Dave was down there watching but all I could see was her hair (back of her head). But as soon as her head came out- it was blue and she wouldn’t come out any further because her shoulder got stuck (broad shoulders from mommy and daddy). Immediately the doctor started pulling on her head and all 3 nurses were pushing down on my belly to force her out. Another nurse was on the phone paging respiratory to be there as soon as she came out as they were worried she was not breathing due to her blue color. I was pushing as hard as I could as I knew she needed to get out quickly. They are all yelling at me to push. I didn’t know what was going on but I was terrified something was wrong with her the way they were all acting. The doctor finally performed an episiotomy to get her out quickly. Avery came out- all of her-at 554am. They placed her immediately on my chest but I knew something was wrong and I said just take her and do what you need to do. They whisked her away to the other side of the room as she was not crying yet. The respiratory team bagged her twice to get her oxygen and she immediately turned pink. Apgar scores were 4 at 1 minute and then 8 at 5 minutes so she perked up right away. I couldn’t see what was going on and was crying and asking if my baby was ok? Dave was over there watching and giving me the thumbs up reassuring me she was just fine as tears rolled down his face. Dave and I were both crying at this time- filled with joy and happiness that our baby girl was not only here but ok. What an emotional experience. We are finally parents and we have a daughter. It’s still hard to believe our little miracle has arrived. She is the most beautiful thing we have ever seen. After they knew she was ok, they wiped her down and then handed her over to me to hold her. I just looked at her and thought to myself wow- this is my daughter. It’s incredible that God allows us to experience this- truly a miracle. I still look back on it and think to myself- how amazing that God chose me to be this little girl’s mommy and let me help bring her into this world. How amazing. Avery was much bigger than any of us thought including the doctor. This little girl surprised us right away coming out as big as she did. 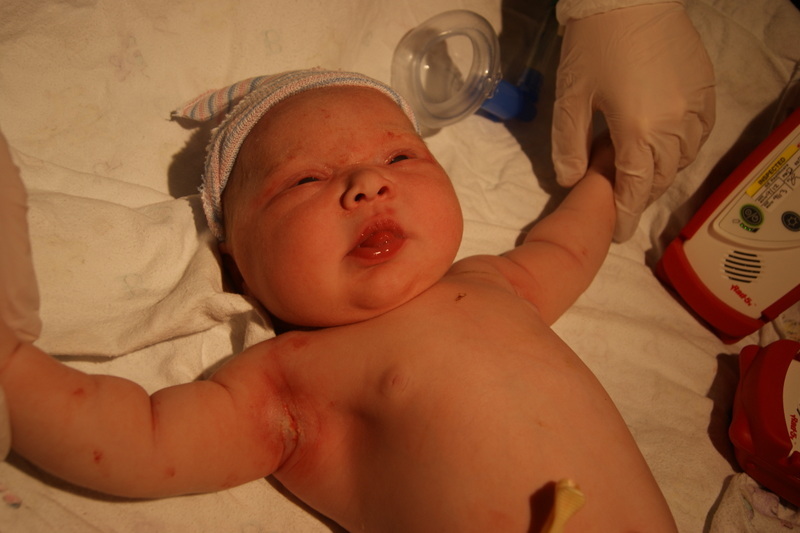 She weighed 9lb 7oz and was 21.5 inches long. I don’t think anybody could believe that I carried a baby that big or birthed a baby that big. Dave and I thought she would be big but not that big- we had guessed around 8lb. It’s still hard to believe she made it out of there without a C-section. I am so thankful she did and I got to experience her birth the way I did. It makes it even more miraculous that she arrived the way she did. We never would have thought going to 41.5 weeks would give us a baby this big but now we know. I think next time they might induce me earlier knowing we had a baby this big- just a hunch I suppose-lol. Getting pregnant to having this little girl has been so much work but I would do it all over again in a heartbeat at the joy she has brought into our lives. Being a mommy is incredibly hard work and I am learning new things daily. I hold her and look down at her and cannot believe she is mine. God entrusted us to care for this precious child. It’s a feeling I cannot describe and I sometimes feel overwhelmed by how very much I love her already. When those big blue eyes look up at me – all I want is the best for her. I pray daily for God to help me be the best mommy for Avery. I think now more than ever I am relying upon the Lord to direct us as parents in this amazing yet incredibly important task of parenthood. I am Avery’s mom and God has chosen me for this task – trusting in Him now to help me be the mommy she needs. I couldn’t do it without Him. I am speechless at what God has given to us. It's still unbelievable and I look at her and tears form in my eyes and all I can say is God you are more than amazing. This song reminds me of how amazing He is. Avery is our little miracle and I will forever be in awe at how God brought her into our lives. Holding my new baby girl. Headed to the hospital to have our baby! So, January 10 we had our weekly check up (41 weeks). The doctor stripped my membranes again hoping this time would do the job. He told us to go home and wait and see. I decided after getting the doctor's approval that I would do the castor oil cocktail as I had heard by many others that this would def. put me into labor. It was our last resort before going to the hospital for induction that evening. So, Dave and I left the appointment and went and picked up the castor oil. I proceeded to chug the cocktail. Just going to tell you if you were wondering the stuff works- but unfortunately it did nothing for putting me into labor. Around 450pm, Dave and I headed to the hospital as the doctor told us to get there between 5 and 530 to be admitted through patient registration via the ER. It seemed so unnatural going in to the hospital to have my baby without any active labor signs. I had pictured in my mind that I would be in labor, but this is not how it was working out for us. It didn't matter though we were going to have our baby. We arrived and got a room and shortly thereafter they started a medication called Cervidil. Cervidil is a vaginal insert given to help ripen the cervix and bring on labor. We were hoping this would work as it is a lot less invasive than the Pitocin and seemed to be the first step in the process. The Cervidil is typically placed at night and given 8 hr to work. The night went incredibly slow. I probably slept a total of 1-2 hr and Dave got about 3 hr. The hospital bed is not very comfortable and having an IV in my hand didn’t help the situation. Then the contractions kept me up most the night even though they were pretty mild at that point. Morning finally arrived. I think we were actually waiting for morning to arrive to see what the Cervidil had done. The doctor came in around 6 to check me to see if there was any progress. I was still 1 cm dilated but he said the cervix seemed softer which was good. It was discouraging that labor didn’t start and that I was still at 1 cm but we were hopeful that starting the Pitocin that morning would definitely get things going. The Pitocin was started around 8 am. Pitocin (Oxytocin) means "rapid birth." It is a natural hormone named for the natural posterior pituitary hormone. It stimulates uterine contractions indirectly and helps expedite the normal contractions of spontaneous labor. It was started at the lowest rate of 2mu/min. My dose was then increased 2 mu every 30 minutes until we reached one of the highest doses at 20mu/min. At this point I was having incredibly strong contractions- very painful. They were horrific. They were coming on about every 1 to 2 minutes. For moms out there who have gone natural with Pitocin there are no words for what you endured and you are an incredibly strong woman in my eyes. Due to the induction medications I was not able to eat other than ice chips. So, nearing the end of the day with these incredibly strong contractions, no sleep, and no food for 24 hr- let’s just say I was mentally exhausted and drained. Dave was just as exhausted watching me go through this and trying to help in any way he could. At 5, my doctor came in to check the progress again- would you believe I was still at 1 cm and my cervix was soft but still very far back – it had not come down where it should be when in labor. This news caused some tears as I was in so much pain and feeling like things had definitely had to have progressed. I felt so defeated and discouraged after a whole day of pain to not have gotten any further. We were both done at this point. After discussing our options with the doctor, Dave and I felt it was best for us to go home, eat, sleep, and rest for when labor actually begins. I don’t think either of us could have taken any more physically or mentally at this point anyways. We were literally functioning on the bare minimum at this point and going home seemed to be the best possible scenario for us. The doctor stopped the Pitocin and within 10 minutes the contractions had basically ceased. He said this was a sign my body was definitely not ready as the contractions would have probably continued on their own without the Pitocin if I was going to go into labor. Dave and I walked the hospital for a little bit before leaving as the doctor wanted to make sure the contractions were really not continuing. Before leaving, my doctor did an ultrasound on Avery- she looks great! The amniotic fluid looked great, her heart rate is good and she had her hands over her face like what are you people doing to me? It was good to see her and know that she is doing ok. Our main concern throughout the whole process was her health and well-being and we will do anything necessary to make sure we are not jeopardizing her health. Knowing she is doing well in there reassured us she is not ready and we are ok to wait a few more days. I felt such a peace about this and getting to go home because after the past 24 period and the state my body was in, I don’t even know if I could have delivered a baby at this point. Although this experience has made us even stronger, I hope the next time we go in she is really ready to come out. Our doctor has given us until Monday to see what happens and rest. Dave and I left the hospital, ate dinner, showered, and slept 9 hr. I think we hit the bed and were asleep in seconds. We woke up this morning feeling refreshed and much better. We still can’t believe we were only in the hospital 24 hr as it felt like an entire week had passed. It still seems unreal that we are home without our little girl and it’s upsetting and frustrating that things have not gone how we had hoped and planned. God sent me the perfect verse through my daily verse I receive via email ( In their hearts humans plan their course, but the Lord establishes their steps.– Proverbs 16:9). I read this while we were in the hospital right as they were starting my Pitocin. It couldn't have come at a better time as I was able to remember all day that I am not in control of any of this but that I can trust God. Dave and I have witnessed him at work throughout the whole pregnancy and will continue to wait in expectancy as he finishes his good work. God has gotten us this far and he will bring us through to the end. He has a plan for her birthday and her special arrival and although we wish she was here already, we can’t wait to witness his plan unfold (hopefully in the next few days). This morning I am having some mild cramps and just going to take it easy, but so thankful to be home and praising God our little girl is ok. Thank you for your continued prayers as we wait for the arrival our little girl. We're ready to be parents. Ready to be a dad! Pitocin started and waiting for it to work. So our little girl’s official due date came and went on January 3. We were 100% sure this was her due date due to IVF and knowing the exact day she was conceived in that little petri dish. There were no doubts that it was exactly 40 weeks on Jan 3. 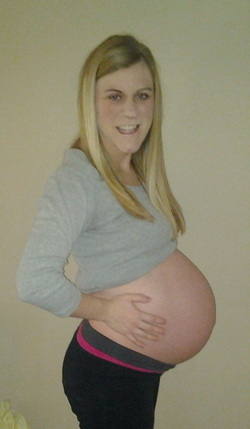 Thursday, Jan 3- my official due date I was 1 cm dilated and 50% effaced. This was the same at our 39 wk check as well. This visit he also hooked me up to the monitor to check her heart rate and to make sure she is not in any distress. The monitor showed she had a perfect heart rate even with my contractions so he was happy to let her be and we are ok with not inducing at this time. Because I really want to go natural, I am trying to avoid induction as this process usually worsens contractions and pushes women more into an epidural due to the intensity of the contractions. I also fear that if we rush her unnecessarily it will not go well. So, as long as she is doing well in there, we’re going to give her a little extra time and pray she comes soon on her own! Although we were sad to her due date pass and her not arrive, we are still anxiously awaiting her arrival. At this point, she seems quite content in the womb. She’s in no hurry to get out into this crazy world. It’s been hard waiting but if we have learned anything in this entire process from God- it’s patience, so once again we get to practice this lovely character trait. As the days pass, our anticipation and excitement build even more. The term nesting was funny to me early on in pregnancy. I think I nested the entire pregnancy as we’ve been prepping her nursery, washing her clothes, making her things for her room, etc. But it was not until this past week, I think I truly understand what that word means. I have gone a little stir crazy nesting while we wait. Although I have worked up to this point, I decided to make Jan 4 my last day until after I return from maternity leave. As a nurse in a pediatric clinic especially this time of year- there is very little sitting or resting during my day. I’ve been doing well, but with a little extra weight to me these days and my body not quite up to normal speed, the days become quite long and tiring. I worked beyond my due date and most of my patients and co-workers are impressed I worked that long. It’s hard for me to stop working as I feel ok, but I think it’s best at this point for my body and for my baby for me to rest these last few days knowing she will come out in a few days either on her own or with assistanceJ. With this extra time on our hands, Dave and I have done even more projects for our little girl. Dave recently made a window valance for her room, we made a bow holder for her headbands and bows, and I’ve entered into the world of sewing. This sewing hobby couldn’t have come at a better time as it occupies hours of my time without me even thinking about the fact that I am over 40 wk pregnant. She might have an entire wardrobe if she doesn't hurry. Not to mention the bows I've been making for her too! I've even made her a Notre Dame outfit to wear Monday night for the championship game if she is here. I made a deal with her that she had to be here by the game since I made her an outfit, she's got less than 24 hours - we'll see. Dave and I joke that Avery is holding back to see how much more we’ll do for her before she comes out- she’s a smart little girl already! 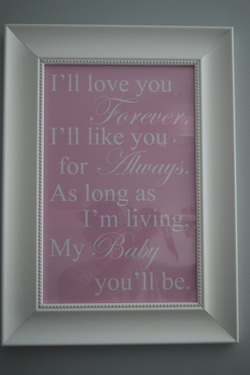 We are enjoying spoiling her and she’s not even here but can’t wait to spoil her once she arrives. Praying we get to meet our sweet baby girl in just a few days. Bow & Headband holder made by mommy and daddy. She already has a collection of bows and headbands. 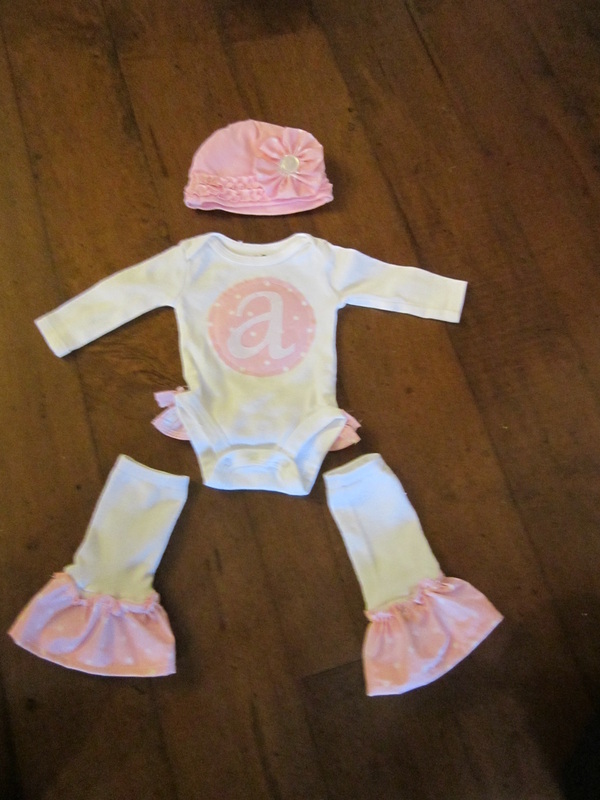 Avery's take home outfit made by mommy. Ringing in the New Year 2013 with friends. So it looks like our little girl did not want to arrive in 2012. Dave and I both guessed she would come a little early but we were obviously wrong as many other people have been in our baby pool thus far. I had guessed my grandmother’s birthday Dec 29 and when that day passed I secretly hoped she would come Dec 31, a very special day for us already as that is the day Dave proposed to me 6 years ago. It was also the night 4 years ago, Dave told me he wanted to be a daddy and we decided to start trying to have a baby. It’s always been a special night we remember and now a part of our testimony to answered prayer. We are still anxiously awaiting her arrival but I am trying to savor these last few days of pregnancy knowing what a gift it has been to even be experiencing this. It’s hard to believe 9 months ago we found out the greatest news of our lives---- that we were expecting a baby. It became more real when we found out the little baby was a girl and we were able to pick out her name and begin talking to her and calling her by name. The pregnancy has gone incredibly well and now that we have approached the due date, I can’t believe it’s that time. Don’t get me wrong, I am more than ready to meet this little girl, but time has passed so quickly. I don’t want to forget what it has felt like to feel her moving inside or the feeling of just being pregnant. It still seems like yesterday we were in Colorado meeting our doctor at the best fertility clinic in the US who would give us at best a 10-15% chance of getting pregnant. Wow! We had a 10% chance of getting pregnant- that was it. That is why we will always, always give God the praise for this little girl. She is no doubt a miracle from Him and we know without the power of prayer and his almighty power, she would not exist. This year Dave and I can officially say we will be parents. For the past 4 years we have hoped and prayed to be parents and as we ring in the year 2013, it will def. be happening for us! The time has come! 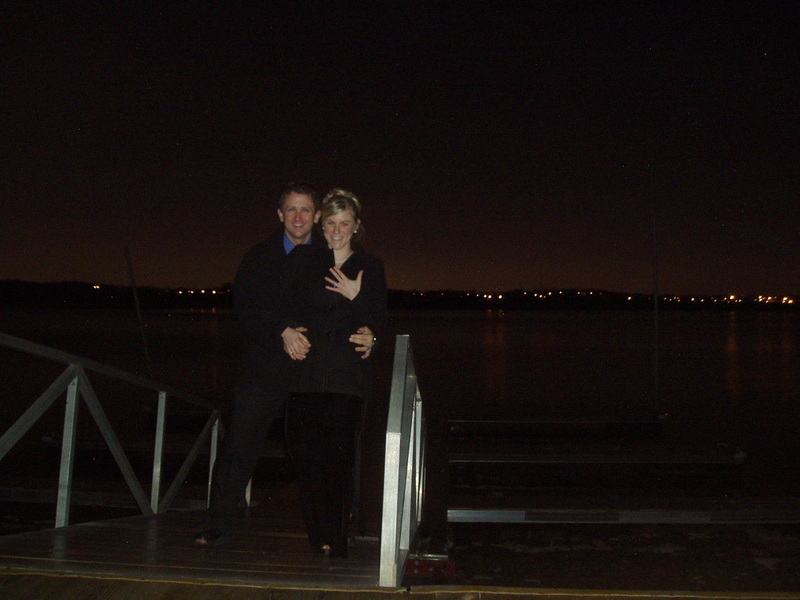 Dave's proposal at Percy Priest Lake on Dec 31, 2006. 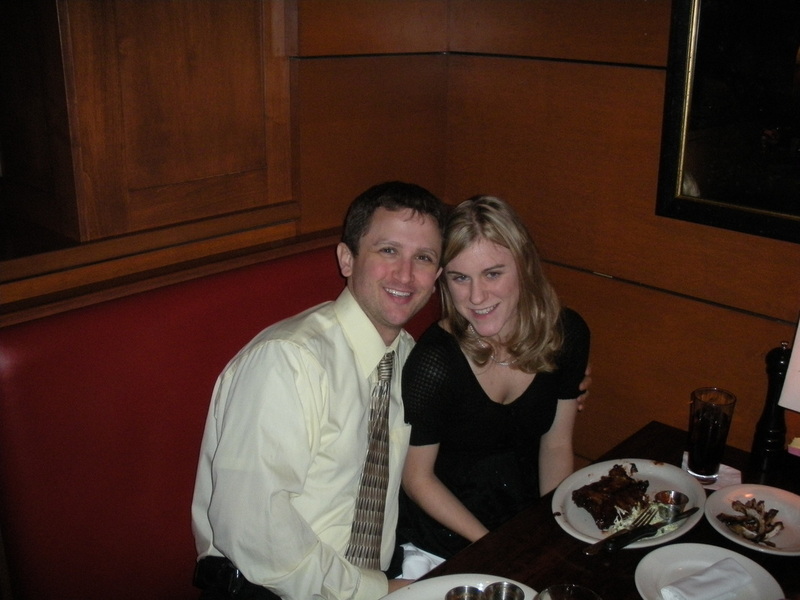 Dinner at Bricktops- We're going to start a family! Dec 31, 2008. Well, this year we stayed home for Thanksgiving as we didn’t want to travel so late in my pregnancy. We normally head out to Hot Springs, AR to spend the holiday with Dave’s family, but this year we stayed home. My parents were actually able to come join us. My mom helped me prepare a wonderful Thanksgiving dinner. We enjoyed the wknd with them as we were also able to go to the Flea Market. We always find something to buy! We also enjoyed the decent weather we had and took a few walks around the neighborhood. And we got to go to Opry Land Hotel to see all the pretty lights. It's a yearly tradition to go over there and see the decorations and lights they put up. It was great visiting with my parents and getting to spend time with them. It’s probably our last visit with them as a married couple without children. Next time they come visit they will be meeting our little girl. So exciting to think about it. The day is approaching quickly and we couldn't be more thrilled. Just keep trying to imagine what life will be like and smile. This Thanksgiving we are especially thankful for the miracle of life. We are thankful for a healthy pregnancy and the little girl growing in my tummy that we absolutely cannot wait to meet. We are thankful for our marriage and all the love we share. We are thankful to get to grow our family and extend our love into our children's lives. We are thankful for our family and friends who have supported and prayed for us throughout this journey. We are thankful for our home and food on our table. We are thankful for our jobs and health. We are thankful for our God who loves us and blesses us immensely in ways we do not even know and for his forgiveness and grace he gives to us daily. We had yet another l baby shower here in Tennessee. I had several friends come together to put on a beautiful shower. Thanks to Nicole Caton, Kelly German, Chanel Ferdelman, Kristin Ferguson, Amy Ward, Jill Shell, and Emily Humbert . And also to my mom and sister for helping out too! They really did a wonderful job and we feel so blessed by their friendships and the lovely day they made it to be for us. Many of our friends from church and work came to celebrate with us as well as some neighbors. It was great to have so many people come to celebrate our little miracle with us. It’s not even about the gifts, it’s simply coming together to recognize the beautiful gift God has given to us and praising him for allowing us to experience this. I know I say it over and over again, but the journey that got us here reminds me that it is a gift and not to take it for granted. 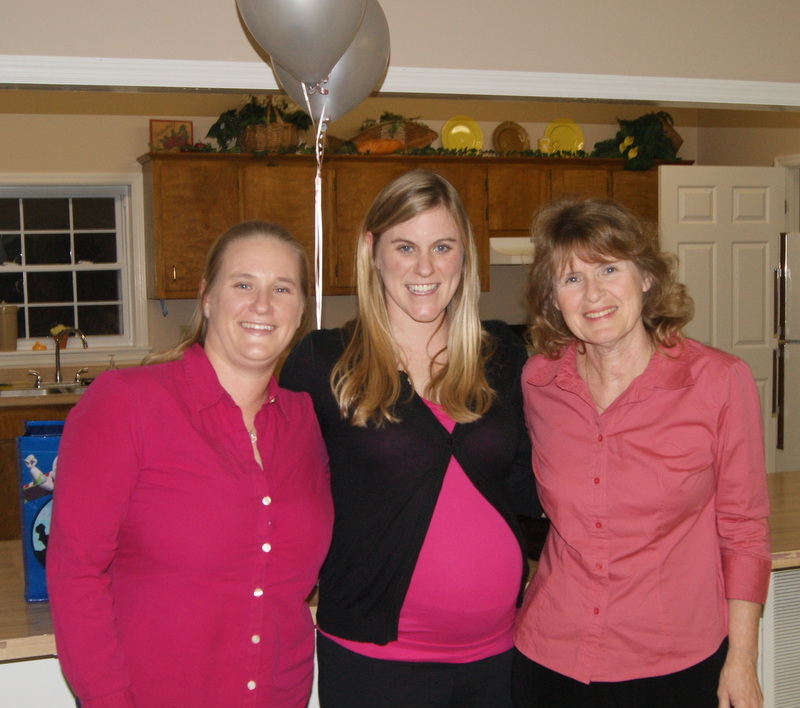 The shower included eating good food, playing some fun games including measuring my baby bump. Apparently many of my friends think I’m bigger than I really am-lol. It’s hard to measure by just looking- I understandJ. We then opened the many presents we were showered with. So incredibly overwhelmed by the love that surrounded us today. We are extremely blessed by the friendships here and all the love, support, and prayers we have received from so many who have journeyed with us. My sister Renee surprised me and flew into Nashville for the shower as well. I had NO idea she was coming as she showed up to my clinic on Friday to surprise me. I have to say I’m not the easiest person to surprise but her and my parents totally pulled it off. It topped the wknd off to have her and my mom here to get to share in the shower festivities as well. I couldn’t have asked for a better wknd and shower to celebrate with everyone. It was the last shower before Avery comes, and I enjoyed every minute of it. 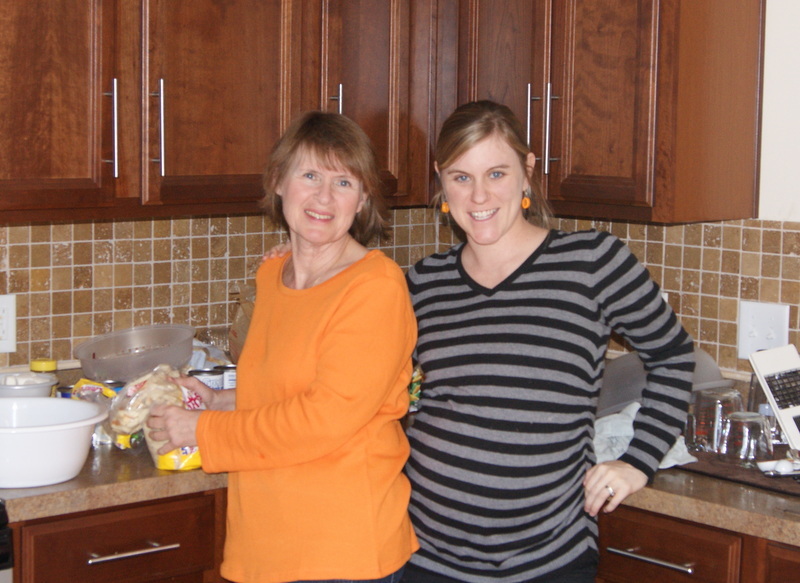 Renee & Mom come to share in the day!